Click on the to view a year's performances. Click on the to close that view. April 7, 2019, Wedding Ceremony, Congregation Beth Torah, Richardson, Texas. April 7, 2019, Wedding Reception, Canyon Creek Country Club, Richardson, Texas. March 9, 2019, Wedding Ceremony, Truett Chapel/First Baptist Church, Dallas, Texas. February 16, 2019, Wedding Ceremony, Marty Leonard Community Chapel, Fort Worth, Texas. February 14, 2019, Wedding Ceremony, Marty Leonard Community Chapel, Fort Worth, Texas. January 5, 2019, Wedding Ceremony, Marty Leonard Community Chapel, Fort Worth, Texas. December 22, 2018, Christmas Party, Private Residence, Lantana, Texas. December 15, 2018, Christmas Party, Private Residence, Fort Worth, Texas. December 6, 2018, Corporate Christmas Party (IEC,) The Whiskey Ranch, Fort Worth, Texas. November 10, 2018, Wedding Ceremony, Historic 512, Fort Worth, Texas. October 27, 2018, Dinner Reception (Turant Turkish American Association of North Texas,) Las Colinas Country Club, Irving, Texas. October 11, 2018, Corporate Event/Realtors Red Carpet Appreciation Event, Supreme Lending, Dallas, Texas. September 22, 2018, Wedding Ceremony, Lone Star Mansion, Burleson, Texas. September 15, 2018, Wedding Ceremony, St. Mary's Malankara Orthodox Church, Farmers Branch, Texas. August 4, 2018, Wedding Ceremony & Dinner, The Fort Worth Club, Fort Worth, Texas. June 2, 2018, Wedding Ceremony, Marty Leonard Community Chapel, Fort Worth, Texas. June 2, 2018, Wedding Ceremony, Piazza in The Village, Colleyville, Texas. May 26, 2018, Wedding Ceremony, Fort Worth Botanic Garden/Japanese Garden-Mikoshi Garden, Fort Worth, Texas. May 11, 2018, Corporate/VIP Mother's Day Shopping Event, Ellis Home and Garden, Texarkana, Texas. May 5, 2018, Wedding Ceremony, Marriott Solana, Westlake, Texas. April 28, 2018, Corporate Event, Land Auction, Morgan Mill, Texas. April 5, 2018, Corporate Event/Awards Gala, Fort Worth Convention Center, Fort Worth, Texas. March 23, 2018, Corporate Event, Ellis Home and Garden, Texarkana, Texas. March 10, 2018, Wedding Ceremony, Hilton Hotel, Southlake, Texas. February 16, 2018, Wedding Ceremony, Piazza in The Village, Colleyville, Texas. February 14, 2018, Valentine's Dinner Party, Brookdale Ridgmar/Sr. Community, Fort Worth, Texas. December 16, 2017, Christmas House Warming Party, Private Residence, Dallas, Texas. December 2, 2017, Christmas Party, Private Residence, University Park, Texas. November 19, 2017, Wedding Ceremony, Marty Leonard Community Chapel, Fort Worth, Texas. November 18, 2017, Wedding Ceremony, Marty Leonard Community Chapel, Fort Worth, Texas. November 11, 2017, Wedding Cocktail Hour & Reception, Las Colinas Country Club, Irving, Texas. October 21, 2017, Wedding Ceremony, Special Moments Chapel, Lewisville, Texas. August 26, 2017, Wedding Ceremony, Marty Leonard Community Chapel, Fort Worth, Texas. July 29, 2017, Wedding Ceremony, Northeast Wedding Chapel, Hurst, Texas. July 22, 2017, Memorial Service, Marty Leonard Community Chapel, Fort Worth, Texas. July 20, 2017, Wedding Ceremony, Marty Leonard Community Chapel, Fort Worth, Texas. July 16, 2017, Wedding Ceremony, Lost Oak Winery, Burleson, Texas. June 16, 2017, Performance, Kimbell Art Museum/Piano Pavilion Café, Fort Worth, Texas. June 10, 2017, Wedding Ceremony, Piazza in The Village, Colleyville, Texas. May 28, 2017, Adult Birthday Party, Old U.S. Post Office, Mineral Wells, Texas. May 21, 2017, Wedding Ceremony & Cocktail Hour, Hotel Crescent Court, Dallas, Texas. May 19, 2017, Performance, Kimbell Art Museum/Piano Pavilion, Fort Worth, Texas. May 7, 2017, Wedding Ceremony, Marty Leonard Community Chapel, Fort Worth, Texas. May 6, 2017, Wedding Ceremony, Historic 512, Fort Worth, Texas. April 21, 2017, Wedding Ceremony, Marty Leonard Community Chapel, Fort Worth, Texas. April 14, 2017, Performance, Kimbell Art Museum/Restaurant, Fort Worth, Texas. April 9, 2017, Wedding Ceremony, Marty Leonard Community Chapel, Fort Worth, Texas. April 8, 2017, Wedding Ceremony, Marty Leonard Community Chapel, Fort Worth, Texas. January 29, 2017, Sunday Brunch/Restaurant, Tru Fire Kitchen & Bar, Southlake, Texas. December 15, 2016, Holiday Party Extravaganza, Mosaic Dallas, Dallas, Texas. December 11, 2016, Family Christmas Party, Park City Club, Dallas, Texas. November 19, 2016, Wedding Ceremony, Marty Leonard Community Chapel, Fort Worth, Texas. October 29, 2016, Wedding Ceremony, Fort Worth Botanic Garden, Fort Worth, Texas. October 19, 2016, Wedding Ceremony, Little Chapel in The Woods, Denton, Texas. October 15, 2016, Wedding Ceremony, Crossroads Christian Church, Grand Prairie, Texas. October 14, 2016, Wedding Ceremony, Piazza in The Village, Colleyville, Texas. October 1, 2016, Birthday Party, Private Residence, Bartonville, Texas. September 16, 2016, Wedding Ceremony, Historic Downtown YWCA, Fort Worth, Texas. September 11, 2016, Party/Sunday Brunch, Private Residence, Duncanville, Texas. September 1, 2016, Wedding Ceremony, Marty Leonard Community Chapel, Fort Worth, Texas. August 28, 2016, Wedding Ceremony, Las Colinas Country Club, Irving, Texas. August 2, 2016, School Assembly/Children's Party, Kids Count Too, The Colony, Texas. June 25, 2016, Wedding Ceremony, Historic Downtown YWCA, Fort Worth, Texas. June 11, 2016, Wedding Ceremony, Marty Leonard Community Chapel, Fort Worth, Texas. June 11, 2016, Wedding Reception, The Fort Worth Club, Fort Worth, Texas. May 30, 2016, Wedding Ceremony, Piazza in The Village, Colleyville, Texas. May 29, 2016, Wedding Ceremony, St. Philopaterr Coptic Orthodox Church, Richardson, Texas. May 29, 2016, Wedding Cocktail Hour, Sheraton McKinney Hotel, McKinney, Texas. May 20, 2016, Wedding Ceremony, Marty Leonard Community Chapel, Fort Worth, Texas. April 16, 2016, Wedding Cocktail Hour and Dinner, Private Residence, Fort Worth, Texas. January 30, 2016, Birthday Party, Private Residence, Dallas, Texas. January 2, 2016, Wedding Ceremony, Little Chapel in The Woods, Denton, Texas. December 27, 2015, Holiday Party/New Year, Private Residence, Little Elm, Texas. December 19, 2015, Wedding Ceremony, Piazza in The Village, Colleyville, Texas. December 5, 2015, Christmas Party, Private Residence, Frisco, Texas. December 4, 2015, Corporate Christmas Party (Freedom Title,) Highland Shore Community Event Center, Highland Village, Texas. November 28, 2015, Wedding Ceremony, Marty Leonard Community Chapel, Fort Worth, Texas. October 24, 2015, Wedding Ceremony, Historic Downtown YWCA, Fort Worth, Texas. October 15, 2015, Wedding Dinner, Aristide Event Center, Mansfield, Texas. October 10, 2015, Wedding Ceremony, Cross Timbers Winery, Grapevine, Texas. October 3, 2015, Wedding Ceremony, Fort Worth Country Memories, Fort Worth, Texas. October 2, 2015, Wedding Rehearsal Dinner and Cocktail Hour, Wildwood Inn, Denton, Texas. September 27, 2015, Wedding Ceremony, The Rose Chapel, Fort Worth, Texas. September 26, 2015, Wedding Ceremony, Fort Worth Botanic Gardens, Fort Worth, Texas. September 24, 2015, VIP Reception and Dinner, Bears Basketball Legends for Charity, (Isaiah Austin Foundation,) Baylor Club Ballroom at McLane Stadium, Baylor University, Waco, Texas. September 12, 2015, Wedding Ceremony, A and M Gardens, Azle, Texas. August 29, 2015, Wedding Ceremony, Special Moments Wedding Chapel, Lewisville, Texas. July 26, 2015, Wedding Ceremony, Special Moments Wedding Chapel, Lewisville, Texas. July 3, 2015, Wedding Ceremony, Marty Leonard Community Chapel, Fort Worth, Texas. June 13, 2015, Wedding Ceremony and Cocktail Hour, Ruthe Jackson Center, Grand Prairie, Texas. June 13, 2015, Wedding Ceremony, Marty Leonard Community Chapel, Fort Worth, Texas. June 12, 2015, Wedding Ceremony, Marty Leonard Community Chapel, Fort Worth, Texas. May 31, 2015, Wedding Ceremony, Marty Leonard Community Chapel, Fort Worth, Texas. May 23, 2015, Wedding Ceremony, Piazza in the Village, Colleyville, Texas. May 16, 2015, Wedding Ceremony, Las Colinas Country Club, Irving, Texas. May 9, 2015, Wedding Reception, Private Residence, Fort Worth, Texas. May 1, 2015, Wedding Ceremony, Ruthe Jackson Center, Grand Prairie, Texas. March 7, 2015, Wedding Ceremony, Wildwood Inn, Denton, Texas. February 14, 2015, Wedding Ceremony, St. John Missionary Baptist Church, Euless, Texas. February 7, 2015, Children's Party, Private Residence, McKinney, Texas. December 20, 2014, Christmas Open House, Private Residence, Fort Worth, Texas. December 13, 2014, Member Holiday Party/Dinner, Trophy Country Club/Lounge, Trophy Club, Texas. December 10, 2014, Christmas Party, North Texas Specialty Physicians, Rivercrest Country Club, Fort Worth, Texas. December 5, 2014, Wedding Ceremony, Downtown YWCA, Fort Worth, Texas. November 28, 2014, Featured Performer, Horizon Lounge/Mira Vista Country Club, Fort Worth, Texas. November 21, 2014, Benbrook Water Authority Reception & Awards Dinner, Mira Vista Country Club, Fort Worth, Texas. November 18, 2014, Pre-Holiday Social/Carillon Home Owners Association, Trophy Club Country Club, Trophy Club, Texas. November 15, 2014, Wedding Dinner, The Orchard, Azle, Texas. November 8, 2014, Wedding Vow Renewal Ceremony, The Ball-Eddleman-McFarland House, Fort Worth, Texas. November 1, 2014, Wedding Ceremony, Chapel at Ana Villa, The Colony, Texas. October 18, 2014, Wedding Ceremony, Private Residence, Argyle, Texas. October 18, 2014, Reception/Private Event (Confrerie de Saint Etienne,) Fort Worth Club, Fort Worth, Texas. September 27, 2014, Wedding Ceremony and Cocktail Hour, Private Ranch, Cleburne, Texas. September 26, 2014, Wedding Ceremony, Chapel at Ana Villa, The Colony, Texas. September 6, 2014, Wedding Ceremony, Hurst Conference Center, Hurst, Texas. August 24, 2014, Engagement Party, The Crescent Club/Rosewood Crescent Hotel, Dallas, Texas. August 16, 2014, Wedding Reception, First Baptist Church of Dallas, Dallas, Texas. Many genres of music were chosen for this grand event: Classical, Religious, Jazz, New Age, Classic Rock, Standards, Alternative Rock, R&B, Pop, Contemporary, Broadway, and Movie Hits. August 9, 2014, Surprise Marriage Proposal Event, Warwick Melrose Hotel, Dallas, Texas. For this exciting occasion, Laura entertained with French Songs, Jazz Standards, and Alternative Rock. Her husband, T.J., sang "La Vie En Rose." June 21, 2014, Wedding Ceremony, Las Colinas Country Club, Irving, Texas. June 14, 2014, Wedding Ceremony, Marty Leonard Community Chapel, Fort Worth, Texas. May 30, 2014, Corporate Event (Grand Opening,) Encore 6162, Dallas, Texas. May 24, 2014, Wedding Ceremony, Our Lady of Lebanon Maronite Catholic Church, Lewisville, Texas. May 8, 2014, Mother's Day Tea and Fashion Show, Watercrest at Mansfield, Mansfield, Texas. April 25, 2014, Appreciation Dinner for the Men's Club, St. Vincent de Paul Catholic Church (Johnson Center,) Arlington, Texas. April 18, 2014, Wedding Ceremony, Marty Leonard Community Chapel, Fort Worth, Texas. April 12, 2014, Wedding Ceremony, St. Francis On the Brazos Catholic Church, Waco, Texas. March 22, 2014, Wedding Ceremony, Marty Leonard Community Chapel, Fort Worth, Texas. February 15, 2014, Wedding Ceremony, Lebanon Baptist Church/Frisco Heritage Center, Frisco, Texas. December 29, 2013, Wedding Ceremony, Ashton Hotel Wine Cellar, Fort Worth, Texas. December 28, 2013, Wedding Ceremony, Marty Leonard Community Chapel, Fort Worth, Texas. December 24, 2013, Christmas Family Reunion, Private Residence, Kerrville, Texas. December 21, 2013, Wedding Ceremony, Marty Leonard Community Chapel, Fort Worth, Texas. December 20, 2013, Wedding Ceremony, Marty Leonard Community Chapel, Fort Worth, Texas. December 17, 2013, Commencement Ceremony/The Art Institute of Fort Worth, Ridglea Country Club, Fort Worth, Texas. December 14, 2013, Christmas Party, Private Residence, Dallas, Texas. October 12, 2013, Performance, Ruggeri's Italian Restaurant, Colleyville, Texas. October 5, 2013, Wedding Ceremony and Cocktail Hour, Adolphus Hotel, Dallas, Texas. September 28, 2013, Wedding Ceremony, Fort Worth Botanic Garden, Fort Worth, Texas. The Lower Rose Garden was the setting for this elegant wedding. September 26, 2013, Pre-Show Entertainment, B&B Colleyville Cinema Grille & IMAX, Colleyville, Texas. September 21, 2013, Birthday Party, Private Residence, Fort Worth, Texas. September 14, 2013, Wedding Ceremony, Fort Worth Botanic Garden, Fort Worth, Texas. September 8, 2013, Wedding Ceremony, Ashton Gardens, Corinth, Texas. August 3, 2013, Wedding Ceremony, Northeast Wedding Chapel, Hurst, Texas. July 28, 2013, Wedding Ceremony, Downtown YWCA, Fort Worth, Texas. July 20, 2013, Wedding Ceremony, Downtown YWCA, Fort Worth, Texas. July 7, 2013, Wedding Ceremony, Marty Leonard Community Chapel, Fort Worth, Texas. July 6, 2013, Wedding Ceremony, Fort Worth Botanic Garden, Fort Worth, Texas. June 8, 2013, Wedding Ceremony, The Milestone, Denton, Texas. Guests at this wonderful outdoor wedding enjoyed an interesting mix of traditional classical music, and non-traditional genres such as: Jazz Standards, Alternative Rock, Country, Broadway/Movie Hits, Contemporary, and Religious. May 26, 2013, Wedding Ceremony, The Milestone, Denton, Texas. May 25, 2013, Wedding Ceremony, Paul W. Powell Chapel, Truitt Theological Seminary, Baylor University, Waco, Texas. May 11, 2013, Wedding Ceremony, Marty Leonard Community Chapel, Fort Worth, Texas. May 5, 2013, Wedding Ceremony and Reception, Northeast Wedding Chapel, Hurst, Texas. April 27, 2013, Wedding Ceremony, Piazza in the Village, Colleyville, Texas. April 20, 2013, Wedding Ceremony, Dallas Arboretum, Dallas, Texas. April 13, 2013, Wedding Ceremony, Ashton Gardens, Corinth, Texas. March 30, 2013, Wedding Ceremony, Little Chapel In the Woods, Denton, Texas. March 29, 2013, Celebration of Life (Reception,) Colonial Country Club, Fort Worth, Texas. March 21, 2013, Grand Opening, US Memory Care, Colleyville, Texas. With a theme of early America, Laura played oldies from the 20's through the 50's. March 17, 2013, Birthday Reception, Colonial Country Club, Fort Worth, Texas. March 9, 2013, Cocktail Hour for a Quinceanera, Dallas Marriott City Center, Dallas, Texas. Laura entertained with mixed genres of music: Classic Spanish, Broadway/Movie Hits, Jazz, New Age, Classic Rock, Contemporary, and Country Ballads. March 2, 2013, Wedding Reception, University Baptist Church, Fort Worth, Texas. February 21, 2013, Corporate Reception, Conference Center at the Sheraton, Dallas, Texas. With over 600 in attendance, Laura played a combination of Classical and Broadway Hits for the "Public Private Partnership Conference." February 17, 2013, Wedding Ceremony, Belltower Chapel and Garden, Fort Worth, Texas. February 16, 2013, Wedding Ceremony, Southfork Ranch, Parker, Texas. February 2, 2013, Wedding Ceremony, Marty Leonard Community Chapel, Fort Worth, Texas. January 19, 2013, Wedding Ceremony and Reception, The Surrey House and Gardens, McKinney, Texas. January 18, 2013, Birthday Party, Private Residence, Sherman, Texas. January 5, 2013, Wedding Ceremony, Marty Leonard Community Chapel, Fort Worth, Texas. December 31, 2012, New Year's Eve Dinner Party, Private Residence, Fort Worth, Texas. For this Jazzy New Years's Eve party, Laura played Jazz Standards from different decades, Blues, Ragtime, and soft Rock. December 29, 2012, Wedding Ceremony, Belltower Chapel and Garden, Fort Worth, Texas. December 15, 2012, Corporate Function (Adkins) Holiday Party, Canyon Creek Country Club, Richardson, Texas. For this Casino Themed Party, Laura mixed traditional Christmas music (both sacred and secular,) with the genres of jazz, classic rock, new age, pop, contemporary, standards, oldies, folk, Broadway/movie hits, and world music. December 8, 2012, Wedding Ceremony, The Milestone, Denton, Texas. December 7, 2012, Christmas Program for Woman's Club, Justin First United Methodist Church, Justin, Texas. December 6, 2012, Holiday Luncheon for Fort Worth Paralegal Association, The Fort Worth Club (Horizon Room,) Fort Worth, Texas. November 16, 2012, Wedding Ceremony, Marty Leonard Community Chapel, Fort Worth, Texas. November 11, 2012, Wedding Ceremony, Thistle Hill, Fort Worth, Texas. November 10, 2012, Wedding Ceremony, The Victorian House(Chapel,) Kaufman, Texas. October 25, 2012, Wedding Ceremony, Marty Leonard Community Chapel, Fort Worth, Texas. October 24, 2012, Community Event (Social-Charity,) Private Residence, Dallas, Texas. For this High Society Event Laura played a mix of Classical, Broadway/Movie Hits, and well recognized Standards. October 20, 2012, Wedding Ceremony, Marty Leonard Community Chapel, Fort Worth, Texas. The music for this ceremony was taken from classic Italian songs, oldies, and country. October 19, 2012, Wedding Ceremony, Northeast Wedding Chapel, Hurst, Texas. The music for this wedding consisted of Welsh, English, & Irish Hymn Tunes, mixed with Classical. October 5, 2012, Wedding Ceremony and Cocktail Hour, The Stonegate Mansion, Fort Worth, Texas. September 30, 2012, Wedding Ceremony, Thistle Hill, Fort Worth, Texas. September 29, 2012, Wedding Ceremony, Thistle Hill, Fort Worth, Texas. This lovely wedding at the Mansion built in 1903 featured a mix of Classical, Oldies, Walt Disney Hits, and Classic Rock. September 15, 2012, Wedding Ceremony, Dallas Arboretum, Dallas, Texas. September 8, 2012, Wedding Ceremony, Robert Carr Chapel, TCU, Fort Worth, Texas. September 1, 2012, Family Reunion, Private Residence, Sunset, Texas. The theme for this fun Reunion was "Through the Years." Laura played music from 10 decades. August 25, 2012, Wedding Ceremony, Marty Leonard Community Chapel, Fort Worth,Texas. August 25, 2012, Wedding Cocktail Hour, The Fort Worth Club, Fort Worth, Texas. August 18, 2012, Wedding Ceremony, Marty Leonard Community Chapel, Fort Worth, Texas. August 1, 2012, Funeral Service, Laurel Land Chapel of Chimes, Fort Worth, Texas. July 28, 2012, Wedding Ceremony, Sacred Heart Catholic Church, Rowlett, Texas. Church Established in 1899. July 28, 2012, Wedding Reception, Hilton-Bella Harbor at Lake Ray Hubbard, Rockwall, Texas. July 21, 2012, Wedding Ceremony, Marty Leonard Community Chapel, Fort Worth, Texas. July 7, 2012, Wedding Ceremony, Mediterranean Villa, Arlington, Texas. June 30, 2012, Wedding Ceremony, First Baptist Church, Irving, Texas. May 31, 2012, Grand Opening, Concordia University Texas, Grand Prairie, Texas. May 26, 2012, Wedding Ceremony, Mediterranean Villa, Arlington, Texas. May 13, 2012, Wedding Ceremony and Reception, Sanford House, Arlington, Texas. May 12, 2012, Wedding Ceremony, Marty Leonard Community Chapel, Fort Worth, Texas. May 3, 2012, Opening, The Courtyards at Fort Worth, Fort Worth, Texas. Laura mixed Classical music with Broadway and Movie Hits for this elegant opening. April 29, 2012, Wedding Ceremony, Marty Leonard Community Chapel, Fort Worth, Texas. April 13, 2012, Wedding Ceremony, Marty Leonard Community Chapel, Fort Worth, Texas. April 8, 2012, Easter Brunch, The Vantage at Cityview, Fort Worth, Texas. March 24, 2012, Wedding Ceremony, Brazos Covenant Ministries, Granbury, Texas. March 17, 2012, Wedding Ceremony, Belltower Chapel and Garden, Fort Worth, Texas. March 10, 2012, Wedding Ceremony, First United Methodist Church, Leonard, Texas. Classical and Religious Music were the genres played for the ceremony held in this beautiful church built in 1906, three years after the founding of the town, Leonard, in 1880. February 2, 2012, Wedding Ceremony, Marty Leonard Community Chapel, Fort Worth, Texas. January 13, 2012, Wedding Ceremony, Marty Leonard Community Chapel, Fort Worth, Texas. January 13, 2012, Wedding Reception, Van Cliburn Recital Hall, Fort Worth, Texas. December 17, 2011, Wedding Ceremony, Cappella Court Gardens, Carrollton, Texas. December 10, 2011, Corporate Holiday Christmas Party, Union Station, Dallas, Texas. This great party featured a jazz theme with music from the 40's mixed with Christmas Songs and Carols. December 9, 2011, Christmas Party, Private Residence, Dallas, Texas. December 3, 2011, Christmas Party, Carriage Square Apartments, Fort Worth, Texas. Laura mixed Christmas songs (both Sacred and Secular) with music from the 40's through the 60's. November 19, 2011, Wedding Reception, St. Francis Anglican Church, Dallas, Texas. Mixed genres with an emphasis on Classical and Walt Disney Hits highlighted this reception. November 12, 2011, Wedding Ceremony, Miller Chapel, Baylor University, Waco, Texas. November 5, 2011, Wedding Cocktail Hour, Private Residence, Burleson, Texas. October 15, 2011, Wedding Ceremony, Belltower Chapel and Garden, Fort Worth, Texas. October 15, 2011, Wedding Ceremony, Marty Leonard Community Chapel, Fort Worth, Texas. October 1, 2011, Wedding Ceremony, Belltower Chapel and Garden, Fort Worth, Texas. October 1, 2011, Wedding Ceremony, Anna Acres, Anna, Texas. September 17, 2011, Wedding Ceremony and Dinner Music, Private Residence, Flower Mound, Texas. September 10, 2011, Wedding Ceremony, First Baptist Church, Murphy, Texas. August 19, 2011, Wedding Ceremony, Marty Leonard Community Chapel, Fort Worth, Texas. August 13, 2011, Wedding Ceremony, St. Francis Cabrini Catholic Church, Granbury, Texas. August 7, 2011, Baby Shower, Private Residence, Lantana, Texas. As requested, Laura played a program of music consisting of Classical, Disney Favorites, Light Jazz, and Broadway Hits. July 31, 2011, Birthday Party, Paradise Cove at Lake Grapevine, Southlake, Texas. Genres were many & varied for this wonderful cocktail and dinner party. Oldies, World Music (Italian, & Spanish,) Broadway/Movie Hits, Ragtime and Classical made up the program. July 30, 2011, Wedding Ceremony, Marty Leonard Community Chapel, Fort Worth, Texas. July 30, 2011, Wedding Ceremony, Belltower Chapel and Garden, Fort Worth, Texas. July 29, 2011, Wedding Ceremony, Legacy Church of Christ, North Richland Hills, Texas. July 15, 2011, Wedding Ceremony, Marty Leonard Community Chapel, Fort Worth, Texas. July 2, 2011, Wedding Ceremony, Marty Leonard Community Chapel, Fort Worth, Texas. June 19, 2011, Wedding Ceremony, Little Chapel In the Woods, Denton, Texas. June 18, 2011, Wedding Ceremony, Marty Leonard Community Chapel, Fort Worth, Texas. June 5, 2011, Party/Christening, Private Residence, Rockwall, Texas. Religious music, Contemporary, Jazz, and music from the 80's and 90's was chosen for this blessed event. May 21, 2011, Wedding Ceremony, Marty Leonard Community Chapel, Fort Worth, Texas. May 7, 2011, Wedding Ceremony, Mary Immaculate Catholic Church, Farmers Branch, Texas. May 1, 2011, Wedding Ceremony, Wildwood Inn, Denton, Texas. April 23, 2011, Wedding Ceremony, Intercontinental Hotel, Addison, Texas. April 12, 2011, Volunteer Appreciation Celebration for the JPS Health Network, Oak Hall, Fort Worth Botanical Gardens, Fort Worth, Texas. With the theme being that Volunteers are STARS, Laura entertained with Broadway & Movie Hits from many decades. April 9, 2011, Wedding Ceremony, City Club, Fort Worth, Texas. March 26, 2011, Wedding Ceremony, Little Chapel In the Woods, Denton, Texas. March 5, 2011, Wedding Ceremony, First Baptist Church, Wylie, Texas. February 24, 2011, Roaring Twenties Party, Horizon Bay, North Richland Hills, Texas. Laura entertained with popular songs of the 1920's from Broadway Musicals, Silent Movies, and Vaudeville. February 14, 2011, Valentine's Party, Emeritus at Tanglewood Oaks, Fort Worth, Texas. Laura entertained residents with love songs across nine decades of music: 20's, 30's, 40's, 50's, 60's, 70's, 80's, 90's & 2000. December 18, 2010, Private Christmas Party, Fort Worth, Texas. December 15, 2010, Music for Christmas Dinner, Watercrest at Mansfield, Mansfield, Texas. December 11, 2010, Wedding Ceremony, Pleasant Grove Baptist Church, Colleyville, Texas. December 4, 2010, Wedding Ceremony, Marty Leonard Community Chapel, Fort Worth, Texas. November 6, 2010, Wedding Ceremony, White Chapel Estate and Gardens, North Richland Hills, Texas. November 6, 2010, Wedding Reception, The Masonic Center, Grand Ballroom, Fort Worth, Texas. October 24, 2010, 50th Wedding Anniversary Party, Gardens Restaurant, Fort Worth Botanical Gardens, Fort Worth, Texas. Laura entertained for this wonderful three hour party with a varied mix of many genres: Classical, Folk, Broadway/Movie Hits, Jazz, Oldies, Classic Rock, Country, and Contemporary. October 16, 2010, Wedding Ceremony, Bell Tower Chapel and Garden, Fort Worth, Texas. October 16, 2010, Wedding Ceremony, Marty Leonard Community Chapel, Fort Worth, Texas. October 9, 2010, Wedding Ceremony, Marty Leonard Community Chapel, Fort Worth, Texas. September 18, 2010, Wedding Ceremony, Marty Leonard Community Chapel, Fort Worth, Texas. September 4, 2010, Wedding Ceremony, St. Philopateer Coptic Orthodox Church, Richardson, Texas. August 21, 2010, Wedding Ceremony, Marty Leonard Community Chapel, Fort Worth, Texas. August 6, 2010, Children's Birthday Party, Embassy Suites, Irving, Texas. For this two hour delightful program of music, Laura mixed several genres: Nursery Rhymes, Children's Songs, Walt Disney's Hits, Broadway, Classic Country, and Christian Music. July 30, 2010, Wedding Ceremony, Diamond Oaks Country Club, Haltom City, Texas. July 24, 2010, Wedding Reception, The Lodge of Granbury, Granbury, Texas. July 17, 2010, Wedding Ceremony, Marty Leonard Community Chapel, Fort Worth, Texas. July 10, 2010, Wedding Ceremony, Windsor Park Baptist Church, De Soto, Texas. June 5, 2010, Wedding Ceremony, St. Frances Cabrini Catholic Church, Granbury, Texas. May 29, 2010, Wedding Ceremony, Marty Leonard Community Chapel, Fort Worth, Texas. April 24, 2010, Wedding Ceremony, Texas Discovery Gardens at Fair Park, Dallas, Texas. April 20, 2010, Musical Program for Woman's Club of De Cordova Bend Estates, held at De Cordova Bend Estates Country Club, DeCordova, Texas. Laura entertained with Broadway/Movie Hits and World Music. February 20, 2010, Wedding Ceremony, A&M Gardens, Azle, Texas. February 11, 2010, Locator Lunch Performance for Gateways at Centreport, Fort Worth, Texas. Private company party. January 30, 2010, Performance at Saxbys Coffee House, Murphy, Texas. January 23, 2010, Wedding Ceremony, Mediterranean Villa, Arlington, Texas. January 2, 2010, Wedding Reception, The Marquis on Magnolia, Fort Worth, Texas. For this multi-cultural event, Laura played not only her wonderful, contemporary love songs, but World Music, consisting of Jewish, Spanish, and Russian. December 26, 2009, Wedding Reception, Farmers Branch Historical Park-Dodson House, Farmers Branch, Texas. Music from many decades, past and present, set the mood for this lovely reception held in the historical Dodson House built in 1937 and furnished in typical 1930's-1940's fashion. December 19, 2009, Wedding Ceremony, Marty Leonard Community Chapel, Fort Worth, Texas. December 14, 2009, Holiday Open House, Concordia University Texas, Fort Worth Center. Laura played both Sacred and Secular Christmas music for this event. November 14, 2009, Wedding Ceremony, The Wildwood Inn, Denton, Texas. November 14, 2009, Wedding Ceremony, Radisson Hotel Fort Worth South, Fort Worth, Texas. November 7, 2009, Wedding Ceremony, held at the Fort Worth Magazine Dream Home-2008, located in the prestigious Palomar Estates, Southlake, Texas. October 31, 2009, Gothic Wedding and Reception, Parson's Table, Aledo, Texas. This 100 year restored, historical church was the setting for Laura's dramatic Goth repertoire of Classical and Contemporary Music. Russian, German, Polish, and Hungarian were some of the many types of music played on Strings, Organ, and Electric Piano. It was a Halloween night to always remember! October 24, 2009, Wedding Ceremony, Marty Leonard Community Chapel, Fort Worth, Texas. October 17, 2009, Laura performed six solos as part of Dallas/Fort Worth's 2009 Music Concert with singer Dianna Starkes at the Sheraton Grand Hotel, Irving, Texas. This concert was titled "Something to Remember." September 4, 2009, Wedding Ceremony, All Saints Catholic Church, Fort Worth, Texas. August 29, 2009, Wedding Ceremony, Fort Worth Botanic Garden, Fort Worth, Texas. August 15, 2009, Wedding Ceremony at The Alexander Mansion, Garland, Texas. August 15, 2009, Wedding Ceremony, Marty Leonard Community Chapel, Fort Worth, Texas. Prelude music for this wedding was unique because it included a blend of Spanish/Italian music with Classical. August 9, 2009, Wedding Ceremony, Fort Worth Botanic Gardens, Fort Worth, Texas. The Fuller Garden was once again the setting for this early August Wedding. July 25, 2009, Paradise Cove at Lake Grapevine, Southlake, Texas was the setting for this romantic Vietnamese Wedding Ceremony. June 13, 2009, Wedding Ceremony, Fort Worth Botanic Garden, Fort Worth, Texas. The Fuller Garden was the setting for this beautiful June ceremony. May 30, 2009, Wedding Ceremony, Dallas Arboretum. Nancy's Garden was the venue for this lovely garden wedding in Dallas, Texas. May 17, 2009, Graduation Celebration-Dinner, Radisson Hotel Fort Worth South, Fort Worth, Texas. May 2, 2009, Wedding Ceremony at Marty Leonard Community Chapel, Fort Worth, Texas. April 18, 2009, Elegant, outdoor-garden Wedding Ceremony at Stonebriar Country Club, Frisco, Texas. April 4, 2009, Wedding Ceremony, Fort Worth Botanic Garden, Fort Worth, Texas. March 27, 2009, Arts Google, Fort Worth's Near South Side Event. Laura played at the Hattie May Inn, bed and breakfast. February 28, 2009, Open House, Prince Victorian Estate. Laura showcased her talent by demonstrating to bride and grooms the different sounds available on her 88 key portable, electric piano. If you go to: www.princevictorian estate.com you will see on their home page the listing: Ceremony Music Laura Cummings. February 14, 2009, Papparotti's Wine Room, located at 6100 Camp Bowie Blvd., Fort Worth, was the venue for Laura's special love songs on Valentine's Day. She entertained patrons from 9:00 till 12:00 p.m.
January 17, 2009, Ruggeri's Ristorante was once again the venue. Laura played from 6:30 till 9:30 p.m. at this Italian restaurant in Colleyville, Texas. January 16, 2009, New Year! New Venue! Laura entertained customers at Ruggeri's Ristorante. This romantic Italian restaurant is located at 32 Village Ln, Colleyville, Texas. January 10, 2009, The elegant Piazza in the Village, was the setting for this first Wedding Ceremony of the New Year for Laura. The Chapel is located in Colleyville, Texas. December 31, 2008, Wedding Ceremony and Reception, Stonebridge Ranch Country Club, McKinney, Texas. December 30, 2008, Wedding Ceremony at Stonegate Mansion, Fort Worth, Texas. December 12, 2008, Christmas Party, AC Electronics, Arlington, Texas. Laura entertained with Christmas music (both sacred and secular,) and music from the 70's, 80's, and 90's. November 2, 2008, the Seekers Coffee House, located in Hurst, Texas was a new venue for Laura. Customers enjoyed the following genres: Classical, Folk, Light Jazz, Broadway/Film, Contemporary, and Classic Rock. October 4, 2008, Wedding Ceremony, Fort Worth Botanic Garden, Fort Worth, Texas. Laura played the non-traditional song "Hoppipolla" by Sigur Ros for the bride's entrance. Beautiful fall setting with the wind stirring and the leaves falling. Very appropriate for "Hoppipolla." Ceremony was held in the Fuller Garden. August 31, 2008, Laura played both the Wedding Ceremony and Reception at the elegant Chapelle des Fleurs, in Flower Mound, Texas. August 16, 2008, Rose Chapel in Fort Worth was again the setting for a beautiful Wedding Ceremony played by Laura. July 26, 2008, Laura returned to play another Wedding Ceremony at the beautiful Prince Victorian Estate, located in Fort Worth. June 28, 2008, Wedding Ceremony, Rose Chapel, Fort Worth. June 21, 2008, Wedding Ceremony, Clark Gardens Botanical Park, Weatherford, Texas. May 24, 2008, Wedding Reception and Luncheon, Ridglea Country Club, Fort Worth. May 24, 2008, Wedding Ceremony, Prince Victorian Estate, Fort Worth. December 29, 2007, Wedding Ceremony and Reception, Gaylord Texan, Grapevine, Texas. December 29, 2007, Wedding Ceremony, Rose Chapel, Fort Worth, Texas. December 22, 2007, Engagement Party, Lake Arlington Bay Club, Arlington, Texas. December 21, 2007, Performance, The Coffee Urn, Fort Worth, Texas. December 13, 2007, Performance, On Broadway Ristorante, Fort Worth, Texas. December 13, 2007, Christmas Party, Farmers Branch Senior Center, Farmers Branch, Texas. Board members enjoyed background music for a luncheon, followed by a Christmas sing-a-long of carols. December 11, 2007, Performance, The Coffee Urn, Fort Worth, Texas. December 6, 2007, Christmas Party, The Women's Club of Fort Worth, Fort Worth, Texas. Lone Star Business and Professional Women enjoyed background music for dinner, solo performance of "White Christmas," and a sing-a-long of Christmas carols. November 16, 2007, Performance, The Coffee Urn, Fort Worth, Texas. November 8, 2007, Performance,On Broadway Ristorante, Fort Worth, Texas. November 7, 2007, Luncheon, Trail Lake Nursing and Rehabilitation, Fort Worth, Texas. November 4, 2007, Cocktail Party, The Landing, Flower Mound, Texas. This annual fall party was for Ebby Halliday Real Estate, Inc. Laura played classical mixed with hit Broadway show tunes. October 19, 2007, Performance, The Coffee Urn, Fort Worth, Texas. October 11, 2007, Performance, On Broadway Ristorante, Fort Worth, Texas. September 29, 2007, Wedding Ceremony, The Women's Club of Fort Worth, Fort Worth, Texas. September 13, 2007, Performance, On Broadway Ristorante, Fort Worth, Texas. August 9, 2007, Performance, On Broadway Ristorante, Fort Worth, Texas. July 12, 2007, Performance, On Broadway Ristorante, Fort Worth, Texas. July 7, 2007, Wedding Ceremony, Holy Name of Jesus Catholic Church, Fort Worth, Texas. June 23, 2007, Wedding Reception, Ruth Millican Recreation Center, Euless, Texas. June 14, 2007, Performance, On Broadway Ristorante, Fort Worth, Texas. June 10, 2007, Wedding Ceremony, Marty Leonard Community Chapel, Fort Worth, Texas. May 10, 2007, Performance, On Broadway Ristorante, Fort Worth, Texas. April 29, 2007, Performance, On Broadway Ristorante, Fort Worth, Texas. April 20, 2007, Luncheon, Marriot Hotel, Fort Worth, Texas. Laura performed background music for the Legacy Marketing Group. April 14, 2007, Wedding Reception and Dinner, First Baptist Church, Lewisville, Texas. March 23, 2007, Performance, The Coffee Urn, Fort Worth, Texas. March 8, 2007, Performance, On Broadway Ristorante, Fort Worth, Texas. February 9, 2007, Performance, The Coffee Urn, Fort Worth, Texas. January 27, 2007, Reception/Luncheon,Ridglea Country Club, Fort Worth, Texas. The musical theme was Disney music. Plus, Laura added many standard love songs, and light classical selections. January 19, 2007, Performance, The Coffee Urn, Fort Worth, Texas. January 8, 2007, Private Birthday Party, Oak Park Retirement Center, Fort Worth, Texas. December 31, 2006, New Years Eve Party, Moose Lodge, Fort Worth, Texas. December 17, 2006, Christmas Party, Community Crossroads Church, North Richland Hills, Texas. December 16, 2006, Concert Appearance, Borders Books Music & Café, Fort Worth, Texas. December 14, 2006, Christmas Tour of Homes, Private Residence, Pecan Plantation Woman's Club, Pecan Plantation, Texas. December 8, 2006, Performance, The Coffee Urn, Fort Worth, Texas. November 8, 2006, Private Breakfast, Best Western Inn & Suites, Fort Worth, Texas. November 4, 2006, Performance, Tastebuds Restaurant, Fort Worth, Texas. November 3, 2006, Performance, The Coffee Urn, Fort Worth, Texas. October 28, 2006, Performance, Tastebuds Restaurant, Fort Worth, Texas. October 21, 2006, Performance, Eurotazza Coffeehouse, Fort Worth, Texas. October 8, 2006, Performance, Tastebuds Restaurant, Fort Worth, Texas. October 7, 2006, Performance, The Coffee Urn, Fort Worth, Texas. September 30, 2006, Knights of Columbus Ladies Appreciation Night, St. Elizabeth Ann Seton Catholic Church, Keller, Texas. Laura provided background music for this Italian themed dinner. September 16, 2006, Performance, Tastebuds Restaurant, Fort Worth, Texas. September 15, 2006, Performance, The Coffee Urn, Fort Worth, Texas. September 9, 2006, Performance, Tastebuds Restaurant, Fort Worth, Texas. August 26, 2006, Performance, Tastebuds Restaurant, Fort Worth, Texas. August 25, 2006, Performance, The Coffee Urn, Fort Worth, Texas. August 18, 2006, Performance, Tastebuds Restaurant, Fort Worth, Texas. August 11, 2006, Performance, The Coffee Urn, Fort Worth, Texas. August 4, 2006, Performance, The Coffee Urn, Fort Worth, Texas. July 29, 2006, Wedding Reception and Dinner, Trophy Club Country Club, Trophy, Texas. July 15, 2006, Wedding Reception and Diner, Fort Worth Presbyterian Church, Fort Worth, Texas. May 14, 2006, Mother's Day Brunch, Central Market, Fort Worth, Texas. May 4, 2006, Musical Program, North Fort Worth Woman's Club, Fort Worth, Texas. April 25, 2006, Musical Tea, Town Village Ridgmar, Fort Worth, Texas. The theme was "Musical Melodies." April 12, 2006, Performance, Artistic Blends Coffeehouse, Fort Worth, Texas. Special program for seniors from Palm House Retirement Community. April 7, 2006, Performance, Artistic Blends Coffeehouse, Fort Worth, Texas. Seniors from Tanglewood West and Town Village at Westover Hills enjoyed Laura's music. January 24, 2006, Musical Tea, Town Village, Fort Worth, Texas. The program was based around music from the 1900's period. January 11, 2006, Performance, Artistic Blends Coffeehouse, Fort Worth, Texas. Seniors from St. Francis Village booked to hear Laura play a variety of movie theme songs, classic country, Broadway musical hits, and ragtime favorites. December 23, 2005, Performance, Prima Pasta Italian Restaurant, Fort Worth, Texas. December 15, 2005, Christmas Party, Arlington Heights Health and Rehabilitation. Fort Worth, Texas. December 3, 2005, Performance, Prima Pasta Italian Restaurant, Fort Worth, Texas. November 19, 2005, Performance, Artistic Blends Coffeehouse, Fort Worth, Texas. November 15, 2005, Thanksgiving Dinner, Tanglewood West, Fort Worth, Texas. Repertoire consisted of classical and popular standards. October 28, 2005, Performance, Hedary's Lebanese Restaurant, Fort Worth, Texas. October 20, 2005, Performance, Artistic Blends Coffeehouse, Fort Worth, Texas. Laura entertained a group from Western Hills Baptist Church. September 16, 2005, Contestant, Ms. Texas Senior America Pageant, Dallas, Texas. Laura performed a medley of ragtime songs from the 1920's. September 12, 2005, Performance, Artistic Blends Coffeehouse, Fort Worth, Texas. Entertained seniors from the Villas of Marine Creek. September 9, 2005, Performance, Artistic Blends Coffeehouse, Fort Worth, Texas. Return visit by Tanglewood West. August 12, 2005, Performance, Prima Pasta Italian Restaurant, Fort Worth, Texas. August 6, 2005, Performance, Prima Pasta Italian Restaurant, Fort Worth, Texas. July 28, 2005, Performance, Artistic Blends Coffeehouse, Fort Worth, Texas. Entertained two groups of seniors. The Courtyards at River Park and Broadway Plaza at Westover Hills. July 23, 2005, Performance, Prima Pasta Italian Restaurant, Fort Worth, Texas. July 16, 2005, Performance, Prima Pasta Italian Restaurant, Fort Worth, Texas. June 28, 2005, Performance, Artistic Blends Coffeehouse, Fort Worth, Texas. One hour concert for seniors from Lakewood Village. June 24, 2005, Performance, Peter Kaba's Prima Pasta Italian Restaurant, Fort Worth, Texas. June 23, 2005, Performance Event, The Courtyards, Fort Worth, Texas. June 19, 2005, Concert, Cowhorn Creek Estates, Texarkana, Texas. Special Father's Day concert for seniors. June 17, 2005, Performance, Artistic Blends Coffeehouse, Fort Worth, Texas. A special program was offered for a group of seniors from Primrose at Johnson Creek, Arlington, Texas. May 27, 2005, Wine and Cheese Social Event, The Wellington, North Richland Hills, Texas. Seniors enjoyed light classical music, and movie themes. May 26, 2005, Dinner, Fort Worth Easter Seals Greater Northwest Texas, Fort Worth, Texas. Background music for this dinner consisted of light classical, and ballad's from the 50's and 60's era. May 25, 2005, Performance, Artistic Blends Coffeehouse, Fort Worth, Texas. This special performance was for the Red Hat Ladies from Renaissance Park Multi-Care Center. May 20, 2005, Performance, Artistic Blends Coffeehouse, Fort Worth, Texas. Laura entertained a group of seniors from The Courtyards at Fort Worth. May 13, 2005, Performance, Artistic Blends Coffeehouse, Fort Worth, Texas. This social was for seniors from Palm House and Tanglewood West. Laura played ballad's from the 40's, 50's, and 60's. May 6, 2005, Fundraiser for HRA (Helping Restore Ability,) Arlington Museum of Art, Arlington, Texas. April 18, 2005, Performance, Artistic Blends Coffeehouse, Fort Worth, Texas. This social evening was for the Harris Southwest Breast Cancer Support Group. April 9, 2005, Reception and Dinner for the Fort Worth Chapter/Society for Professional Journalists, Ridglea Country Club, Fort Worth, Texas. April 3, 2005, Corporate Construction Party, South Colleyvine Ranch, Grapevine, Texas. January 16, 2005, Corporate Event, Cambridge Court Assisted Living, Mesquite, Texas. 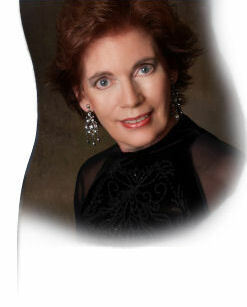 Laura played a program of classical and jazz from the 30's and 40's era for Healthcare Professionals. December 1, 2004, At Artistic Blends Coffeehouse and Theatre, Laura played music before and after a local theatre performance. November 1, 2004, Laura provided music in November at an Election Night Party at the Rusty Spur Western Bistro in Fort Worth. October 1, 2004, In October, Laura entertained guests for the Southwest YMCA, 7th annual Dream Maker Auction/Dinner held at Fort Worth's Botanical Gardens. June 1, 2004, Since June 2004, Laura has been featured pianist on Wednesday nights from 7-9:00 at Artistic Blends Coffeehouse and Theatre, 5298 Trail Lake Drive, Fort Worth, Texas. In this relaxed atmosphere, patrons enjoy both music and the visual arts through the Art Gallery. An avid photographer with many credits, Laura has several photographs on display. Come and listen to great music and stroll through the Art Gallery.